This custom built home in Saunderstown RI features views across the bay of both the Jamestown and Newport bridges. 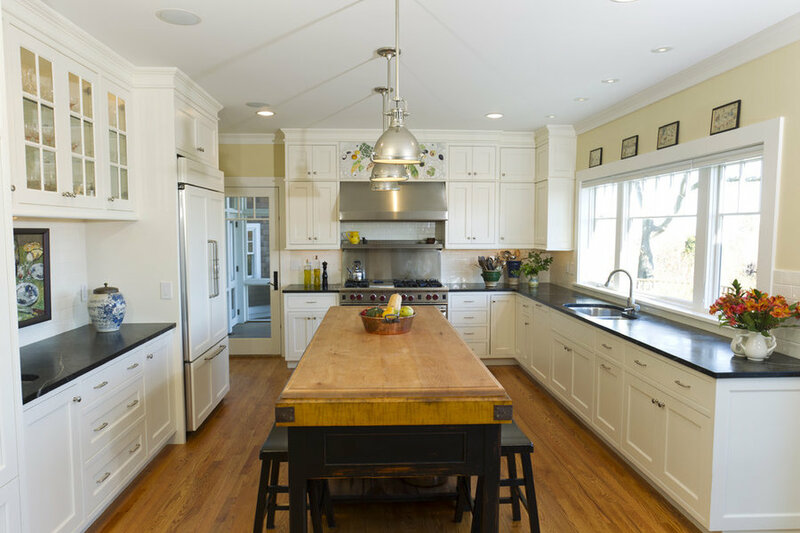 The main centerpiece of the kitchen is the 9-foot island built of new and reclaimed wood. 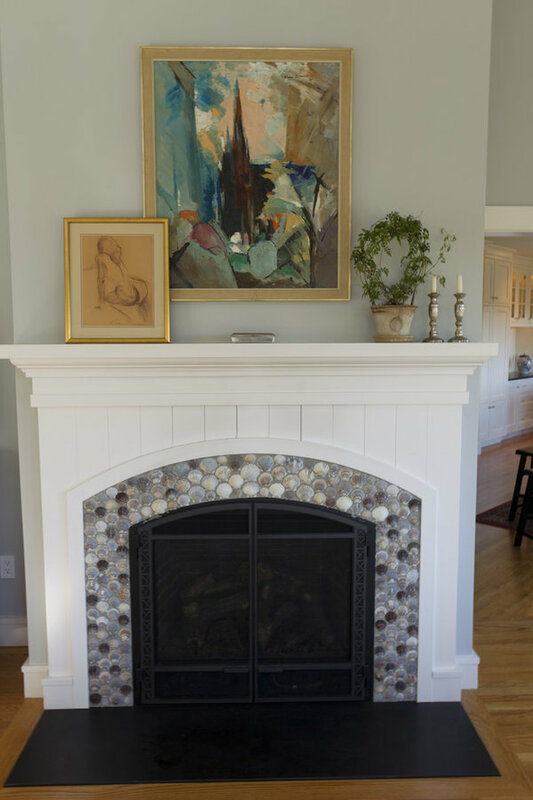 The mosaic above the range hood was made by a local artist while the painting is a family heirloom. 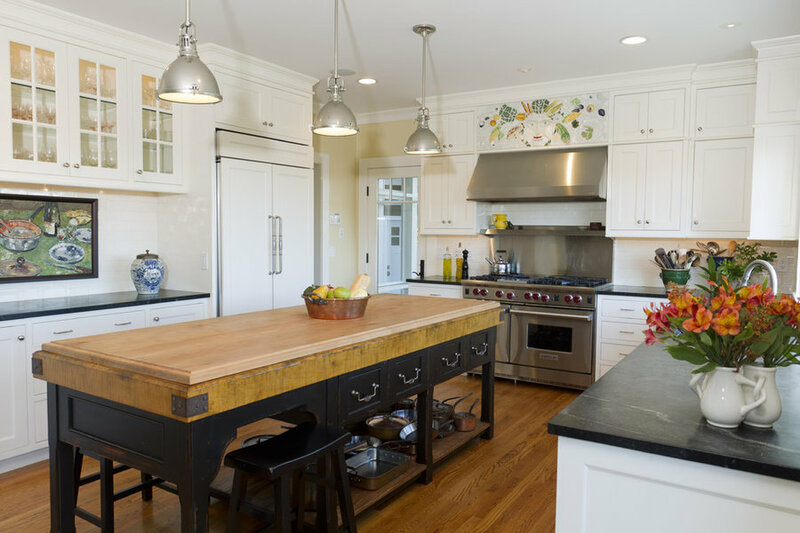 Countertops are oiled Vermont soapstone The fireplace surround is made of locally found scallop shells.